For those of you who are watching for the next version of the iPad, we have some news. It has been reported that Foxconn Electronics and Pegatron Technology have both started production on the next version of the iPad, temporarily called iPad 3. It looks as if there is a strong possibility that Sharp is producing the Retina display. The new display is supposed to take the reading of documents to the next level. It will be interesting to see if this actually occurs once this comes out. Prior to this new version, it was Samsung that produced the iPad screen. Just to add some truth to the news, apparently both Foxconn and Pegatron have confirmed the receipt of orders from Apple with an early to mid-March release. Foxconn has been the main vendor for putting the Apple products together. However, this time it appears that Pegatorn has about 85% of the orders and Foxconn will handle the remaining 15% of the orders. Part of the difference in the orders could be due to the explosion that Foxconn suffered in May of last year. Two people were killed and 16 people were injured in this accident. It appears that the “iPad 3” will look the same as the iPad 2 does. The new device will be one millimeter thicker than the iPad 2 and will show a 2048 X 1536 display from Sharp. As of right now, it does not look as if the design is going to change. There is going to be a new rear-facing camera that is thought to be similar to the one on the iPhone 4 or iPhone 4S. The front camera may be modified and conjecture is that this might bring FaceTime HD to this new device. It is going to be exciting to see the developments that are going to be occurring over the next few weeks in regards to this new tablet. 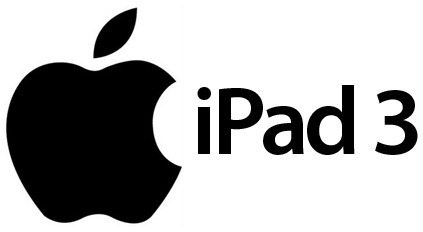 0 Respones to "Production of the New iPad News"